At the Ministry of Transport’s (MOT) Committee of Supply (COS) Debate 2018 on 7 March 2018, new plans and measures for the future were unveiled. 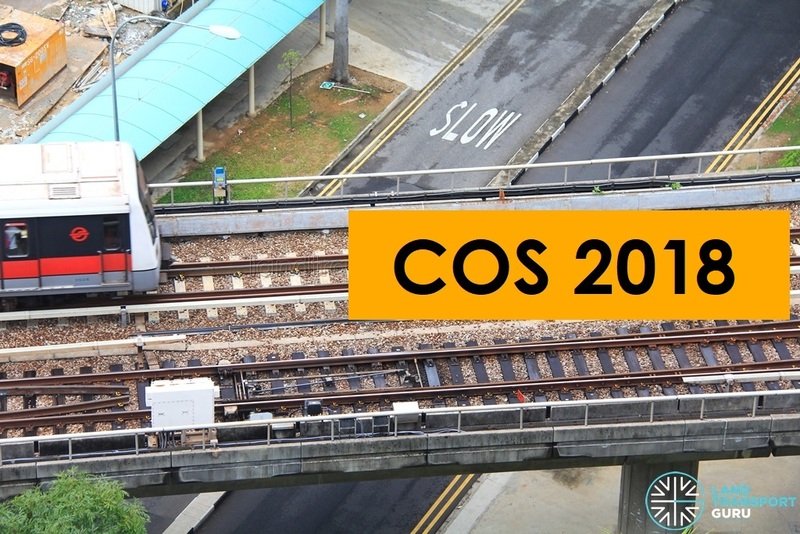 We summarise the latest Public Transport offerings as highlighted in this year’s COS Debate. As part of the Government’s commitment to improving public transport, Transport expenditure for the financial year 2018 is expected to increase by more than 50 percent to hit a record $13.7 billion – ranking just behind the $14.8 billion earmarked for defence. Much of the spending will go towards large-ticket infrastructure projects such as the Kuala Lumpur-Singapore high-speed rail link, and the Singapore-Johor Bahru RTS Link. Transport spending had more than doubled in five years in tandem with significant investment to improve these sectors. Expenditure is set to increase with the upcoming Changi Airport’s Terminal 5, for which the Government is expected to foot a large portion of the bill. 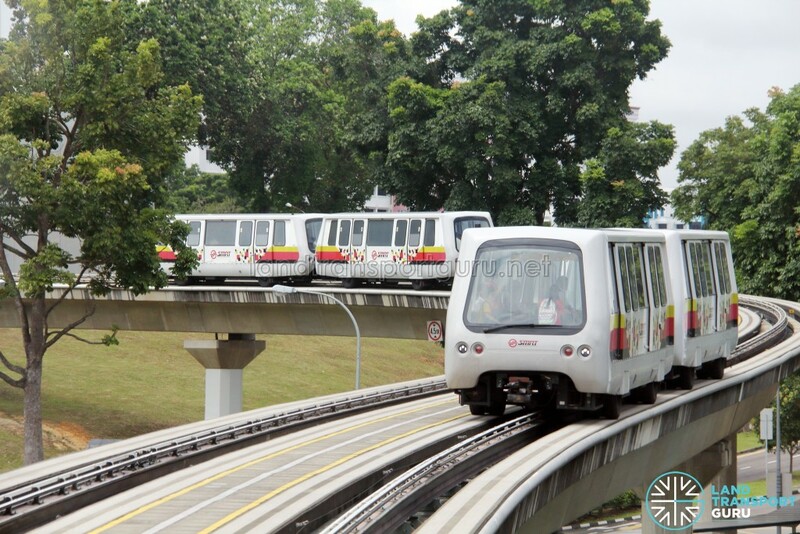 Transport Minister Mr Khaw Boon Wan set a new target for MRT reliability this year, at 400,000 train-kilometres. This means that trains should travel an average of 400,000 kilometres before a major disruption occurs. Rail reliability is tracked with a key indicator called the Mean Kilometres Between Failure, MKBF (also known as Mean Distance Between Failure, MDBF). From 133,000 train-km in 2015, the figure has crossed to 174,000 train-km in 2016 and 390,000 train-km in 2017, exceeding the target of 300,000 train-km set in COS 2017. A goal of 400,000 train-km has been set for this year, 600,000 train-km for 2019, and 1 million train-km by 2020. The Land Transport Authority has cited rail reliability as its top priority, however, these MKBF figures are still shy of other metro systems. In 2015, the MKBF for the Hong Kong MTR was more than 500,000 train-km, and 856,000 train-km for the Taipei Metro. Accelerated upgrading of the new CBTC Signalling System had been carried out through additional engineering hours as part of Early Closures, Late Openings and Full Day Closures. From December 2017 till the first week of March 2018, LTA, SMRT and signalling supplier Thales have completed the equivalent of more than 40 nights of additional installation and testing work for the new signalling system on the East West Line (EWL). This has helped to accelerate the EWL re-signalling programme by six months, bringing forward the completion to June 2018. The additional engineering hours have also provided SMRT more time to carry out preventive maintenance and repairs along closed sectors. On average, this has more than doubled the progress. For example, SMRT’s engineering teams have been able to deploy engineering vehicles longer to support maintenance works, enabling more work to be covered over a larger section of track each night. 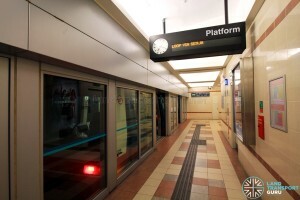 Maintenance of station facilities such as platform screen doors and other station facilities have also been stepped up. With the additional engineering hours, the overhaul of the 100km NSEWL network is expected to be completed by the early 2020s. CBTC Resignalling project – As of January 2018 – Completed on the NSL, more than 90% complete on EWL. Live testing on EWL commenced July 2017. Targeted for June 2018 completion. In addition, noise barriers are also being installed along exposed sections of the NSL and EWL. An ongoing island-wide noise management study will identify potential sites for further noise barrier construction in the near future. 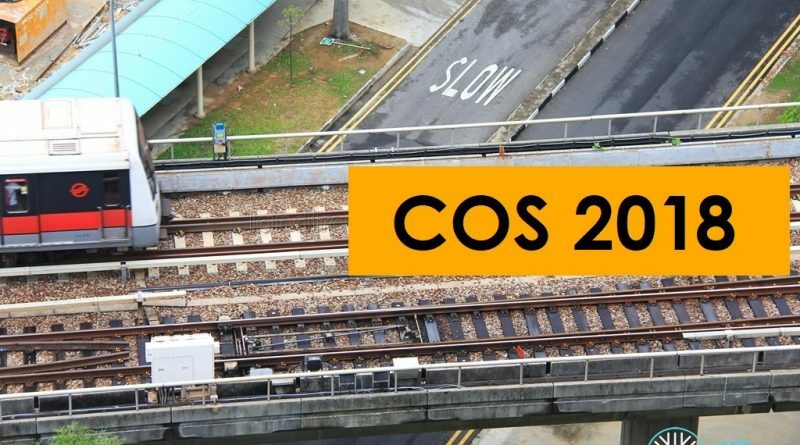 Shorter operating hours on the North South Line and East West Line will continue beyond June 2018 to facilitate extended engineering hours, necessary for the renewal of critical rail systems. This move extends the authorities’ decision since December 2017 to implement Early Closures, Late Openings and Full Day Closures on weekends, in order to free up more time for maintenance and repair work on the tracks, stations and train depots. 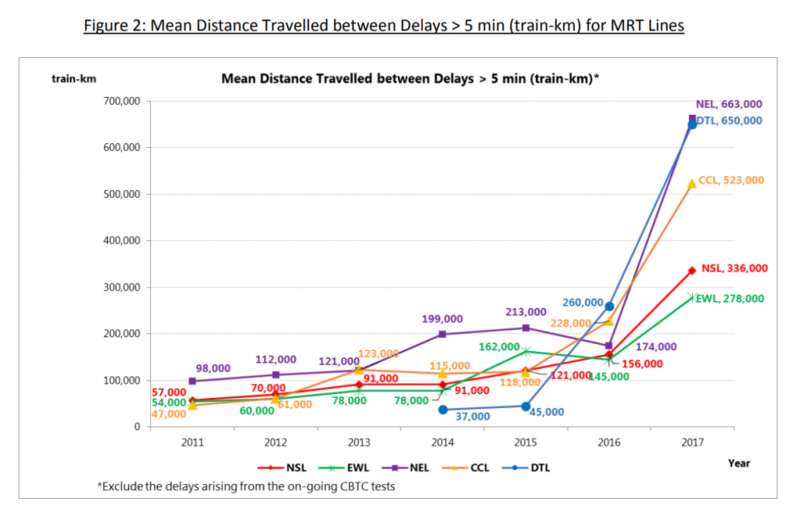 Originally implemented primarily to speed up the installation and testing of the new signalling system along the East West Line by six months, LTA and SMRT decided that additional engineering hours were still needed beyond June to renew other critical aspects of the NSEWL system. Reflecting on the sense of urgency towards rail renewal work, Transport Minister Khaw Boon Wan said his ministry’s “top priority” was to correct the rail reliability problems which plagued the network last year, and that his ministry was “determined to regain public confidence” in the MRT system. The LTA will arrange for Rail Replacement Shuttle Bus Services between affected MRT stations. Apart from the regular parallel shuttle bus routes along affected stretches, there will be shuttle bus services connecting different lines to spread out the passenger load across the rail network. Commuters are advised to plan their journeys in advance, and seek alternative transport via other MRT lines or bus services where possible. 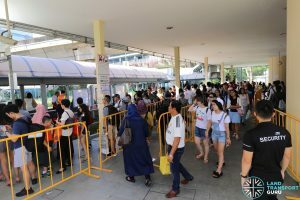 The LTA had also learnt to manage such planned closures with an extensive shuttle bus arrangement so that affected commuters have convenient travel options. During the recent planned closures along the entire EWL, 350 buses and 700 bus captains were mobilised to support the shuttle services. In addition, from March 2018, private bus operators were roped in to assist with the shuttle bus services. The LTA is reinforcing critical stretches of the rail network with buses by end-2018 to strengthen the resilience of the transport network. As a backup measure in the event of a rail disruption, 450 new buses and 900 additional bus captains will ply on these routes. These buses, which were intended to meet growing ridership and replace the ageing bus fleet in the future, have had their deployments brought forward to 2018. The move is in stark contrast to bus rationalization exercises of the past where bus routes were curtailed to reduce duplication of the rail network. For example, in 2003, the opening of the NEL resulted in the amendment or withdrawal of a large number of bus routes. 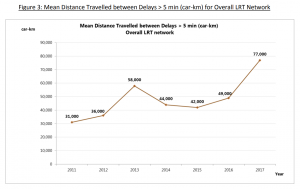 However, aggressive bus rationalization practices have declined in recent years – for example, Downtown Line duplicating services have not been withdrawn, but rather, continue to maintain their service levels. The Land Transport Authority is working on improving the public transport system, and making it the preferred transport mode in Singapore and enabling all commuters to walk, cycle, and ride to work or leisure, anywhere in Singapore, without having to own a car. The year 2017 saw the opening of the 21-kilometre Downtown Line Stage 3 between Fort Canning and Expo, opening up a new corridor in the East of Singapore and linking up with the rest of the Downtown Line. In addition, the 7.5-kilometre Tuas West Extension was also opened, serving the Tuas Industrial Area. A well-connected and resilient rail network forms the backbone of Singapore’s public transport system. 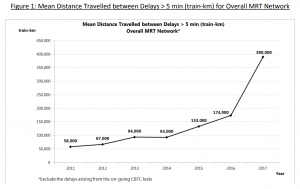 With expansion plans in place to achieve 360km of rail network by 2030, this will put the Singapore rail network density ahead of Tokyo and New York City, and increase the number of stations from 180 today to 270 by 2030. By then, 8 in 10 households will be within a 10-minute walk of an MRT station. Construction of the Thomson-East Coast Line is on schedule, and planning of the Jurong Region Line and Cross Island Line is in progress. These new MRT lines will help to catalyse the development of the Jurong Lake District and Punggol Digital District and transform them to enable an exciting car-lite lifestyle for many Singaporeans. An overhaul of the Bukit Panjang Light Rail Transit (BPLRT) Line was awarded to Bombardier (Singapore) for S$344.25 million on 7 March 2018. The contract covers new trains, power rails, signalling system and various other critical components to renew the ageing LRT system, which has been in operation since 1999 and is reaching the end of its useful life. Bombardier, who is the Original Equipment Manufacturer (OEM) of the Innovia APM system deployed on the BPLRT, demonstrated that it would be able to renew the line with minimal disruption to existing services. In summary, the Bukit Panjang LRT will be receiving a CBTC signalling system, 19 new Innovia APM 300 train cars to replace the first-generation trains, and new power rails. Long-term service support from Bombardier is also covered under the contract. The rail renewal work will necessitate the closure of Ten Mile Junction station from the 4th Quarter of 2018. This is necessary to provide LTA and Bombardier with additional space to conduct the renewal work of the BPLRT system. As a result, Service C (from Ten Mile Junction and looping around Bukit Panjang) will also be terminated. More information will be provided to commuters and residents ahead of time. The Bus Industry is also undergoing significant change. Under the Bus Service Enhancement Programme (BSEP), over 850 buses have since been injected, and 70 new or amended routes have been introduced. Rolling over to the Bus Contracting Model (BCM), the LTA has taken over bus assets and infrastructure from existing operators. At present, four route packages have been awarded to successful tenderers, with 10 more packages to be released in the coming years until Year 2026. Meanwhile, bus infrastructure has expanded in tandem with the larger bus fleet. Within the past five years, Four new bus depots have been built and Seven new bus interchanges and terminals have been built or upgraded. Furthermore, more parking lots have been added to existing interchanges. With Yishun Bus Interchange expected to be ready by 2019, there will be a total of 10 Integrated Transport Hubs (ITH) in Singapore by that year. 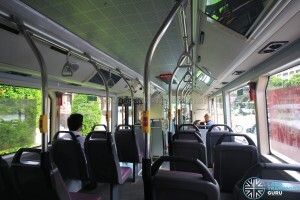 As part of the full transition to the Bus Contracting Model in August 2016, the two dominant bus operators in Singapore (SBS Transit and SMRT) agreed to continue operating their existing bus routes for the next 2 to 10 years under a negotiated contract (NC) which will see the BCM framework apply to their bus operations, until their existing routes are tendered out under various route packages. 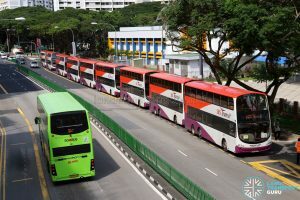 Since then, two new bus operators (Tower Transit and Go-Ahead) have entered the bus scene, and the LTA has injected additional capacity for more than 100 bus services. 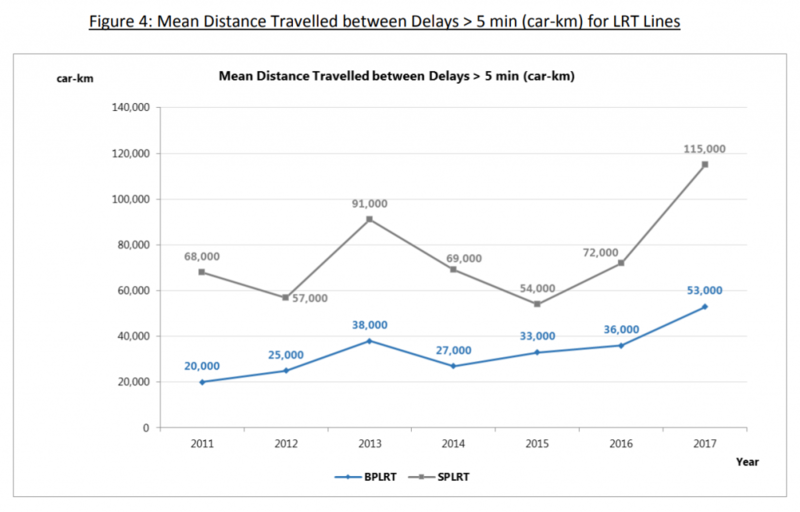 To improve bus arrival regularity and reduce bunching, the LTA has set an incentive-disincentive framework for schedule adherence in the bus contracts, which are very similar to the parameters used in the Bus Service Reliability Framework (BSRF) trial which preceded the BCM. For the first service year, the operators have already earned incentives of about 1.5% of their total service fees. This is nearly $20 million of incentive payments. Together, these measures have contributed to greater bus connectivity, less crowded rides and shorter waiting time for commuters. 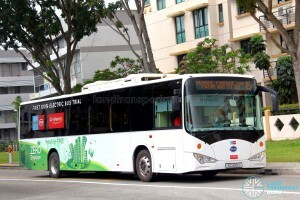 By procuring buses which meet the stringent Euro V emission standards, the Government has already been greening most of Singapore’s diesel-powered transit buses, with most buses in Singapore currently achieving the Euro IV and Euro V standards through Selective Catalytic Reduction (SCR) or Exhaust Gas Recirculation (EGR). However, no emissions are better than low emissions, and the Government is taking the first step to adding more hybrid and electric models to the public bus fleet. In 2017, the LTA called tenders for the purchase of 50 hybrid buses and 60 electric buses. This would allow the LTA to expand its trial of such “green” vehicles, which while environmentally-friendly, are more costly and less suitable for the island’s tropical climate. Not only do vehicles operating here consume a lot of energy for air-conditioning, their batteries and hybrid systems work less efficiently in our warm and humid environment. 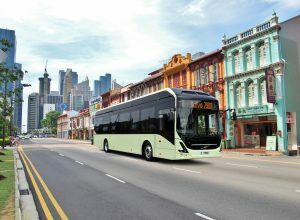 At at time of writing, the hybrid bus contract was awarded to Volvo, who would be bringing in MCV-bodied Volvo 7900 Hybrid buses to Singapore. The electric bus contract has yet to be awarded. 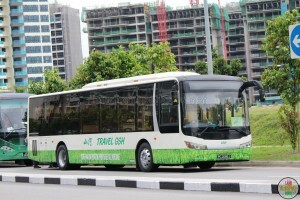 Previously, the LTA trialled a fully-electric bus with operator Go-Ahead Singapore. Initial feedback on the Chinese-made BYD K9 bus has been encouraging, with commuters enjoying the quieter ride and the bus being fairly reliable. 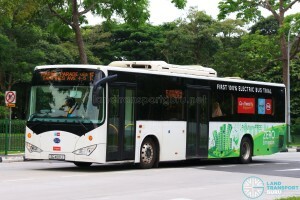 The LTA is also looking to have three bus services which are fully served by electric buses. This will help the LTA gain a deeper understanding of the operational challenges that come with the wider deployment of such buses under local tropical weather and traffic conditions. 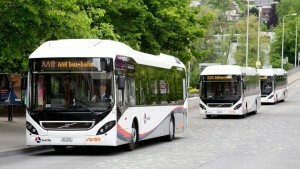 Experience gained from these trials will be used to calibrate the LTA’s approach to adopting alternative energy buses. 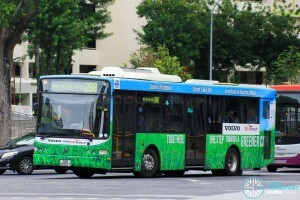 Hybrid transit buses have previously been on trial locally as well. Between 2010 and 2012, SBS Transit trialled two Sunlong SLK6121UF14H buses (SBS8000Z and SBS8001X), and SMRT Buses trialled a Zhongtong LCK6121G HEV bus (SMB137A) in 2011. 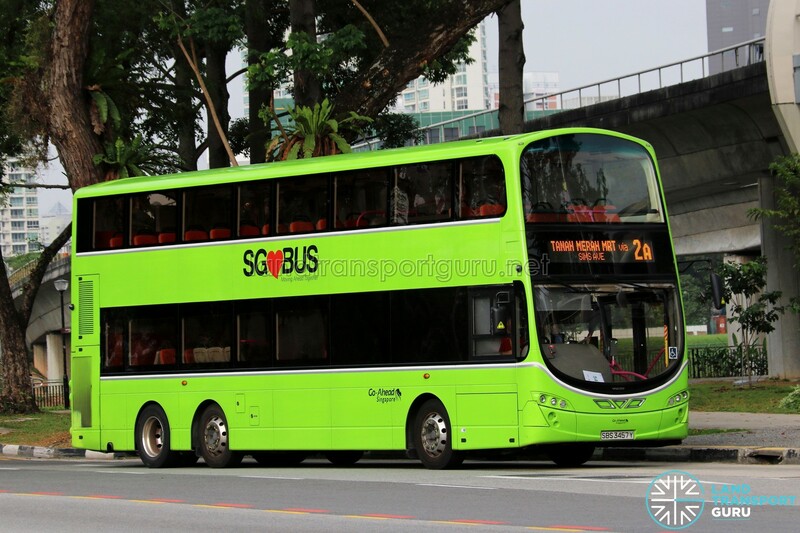 In 2015 and 2016, across two separate six-month trial periods, SBS Transit trialled a Volvo B5RLE Hybrid bus (SBS8002T) independent of Government funding, to test the performance of Volvo diesel hybrid buses in tropical climates like Singapore. In addition to diesel-hybrid and fully-electric buses, Singapore’s first hydrogen-electric bus was a product of a joint research project between Nanyang Technological University (NTU) and Beijing’s Tsinghua University, relying on fuel cell technology and hydrogen as fuel. 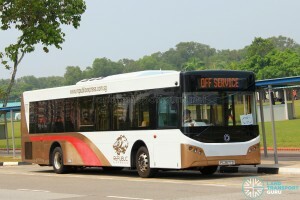 Launched in 2010, the Higer KLQ6129GQH2 bus (RD6066L) ferried commuters during the Youth Olympic Games. Second Minister for Transport Ng Chee Meng explained that Public Transport must be designed thoughtfully to serve the needs of vulnerable groups, such as: People with disabilities; Families, especially those with young children; and an ageing population which is likely to be less mobile. Singapore’s progress towards fully barrier-free public transport is almost complete. 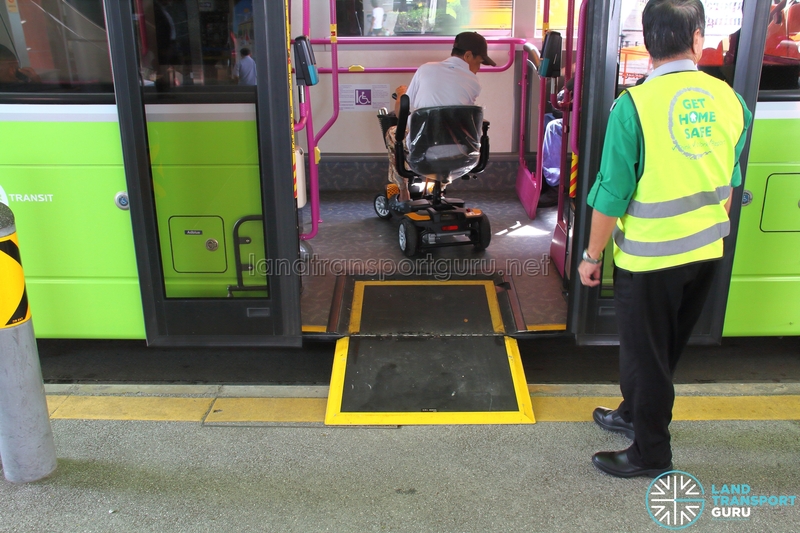 All MRT stations and bus interchanges are now barrier-free, and 96% of public buses are currently wheelchair accessible. This will increase to 100% by 2020, and will be achieved through the gradual phasing out of older non-wheelchair-accessible buses. To improve pedestrian accessibility, lifts are progressively being installed on pedestrian overhead bridges over the last four years. By end-2018, 47 overhead bridges will feature lifts, and a further 50 more overhead bridges will receive lifts, starting with those within walking distance from hospitals and polyclinics. However, lifts are expensive—they cost $4 million per pair to build, and $40,000 a year to maintain—and the crossing is no longer barrier-free if either lift is shut down for maintenance. At-grade pedestrian crossings employing the Green Man Plus programme (extended green light timing) have been suggested for areas where safety is not an issue and the impact on traffic not excessive. The Silver Zone programme has made streets safer for the elderly and the less mobile. Feedback on the current 9 Silver Zones have been positive, and the LTA is looking to expand it to another 41 locations island-wide. Before building Silver Zones, LTA works closely with grassroots leaders to ensure that the design and safety features meet the needs of the residents. As part of the public education process, LTA distributes posters and brochures, and also makes use of community events to address residents’ concerns face-to-face. 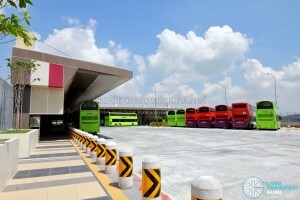 In previous years, LTA has modified all existing bus interchanges and terminals to be wheelchair-accessible. One notable example is Saint Michael’s Bus Terminal, where extensive modification works were performed to fit every end-on berth with a wheelchair ramp. 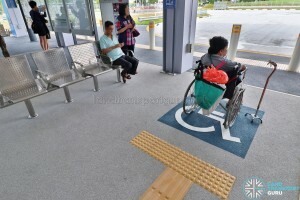 At new bus interchanges, a priority boarding area is marked out at every berth, with priority seats for the disabled and a dedicated wheelchair waiting area. To facilitate priority boarding for people with special needs, the elderly and families, priority queues were implemented at 17 MRT stations, 7 bus interchanges and 2 Integrated Transport Hubs. This initiative will be extended to all MRT stations by 2019, and to all bus interchanges and Integrated Transport Hubs by 2021. The LTA’s Walk2Ride programme, which started in 2012, is on track to completion by the end of 2018. A comprehensive network of more than 200km of covered linkways has been constructed, connecting public transport to nearby developments. Grassroots advisers and grassroots leaders are consulted before determining the alignment of the covered linkways to best serve the needs of pedestrians. Public transport is being made friendlier for families with young children. For example, all new bus interchanges, Integrated Transport Hubs, and all interchange stations on the Thomson-East Coast Line will be equipped with nursing rooms. In addition, all 35 stations along the Thomson-East Coast Line and Circle Line 6 will have family-friendly washrooms, with diaper changing stations, child-size toilets and barrier-free facilities. In 2017, open strollers were allowed on public buses and the move attracted positive feedback from families whom journeys have been made more convenient. Following feedback that there may not always be sufficient room for more than 1 open strollers or wheelchairs, new buses will be equipped with two wheelchair spaces, to accommodate more commuters in need. These efforts will make getting around more convenient for families, without the need to own a car. In addition, a Family-Friendly Land Transport Advisory Panel was set up last year to gather feedback and make recommendations on how we can make our public transport system more family-friendly. The Panel comprises diverse members, from academics, to parents with young children. LTA will also collaborate with industry partners to develop and pilot assistive technologies for commuters with special needs. One of the ideas surfaced is an Assistive Passenger Information System for buses. It includes a mobile application that allows special-needs users to notify bus captains of their intention to board. For visually impaired passengers, there will be internal and external speakers to announce the service number, destination, and the next bus stop. It also directly transmits audio announcements via hearing aids to hearing-impaired passengers. The trial will start later this year on bus service 139, which serves the Enabling Village. An audio-visual announcement system was previously trialled on buses. 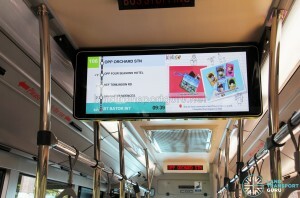 The Passenger Information Display System (PIDS), was trialled on a Tower Transit bus deployed on Bus Service 106, with no outcome of the trial mentioned. A Demand Responsive Transport trial is expected to begin later in 2018. Through a mobile application, commuters will be able to request pick-ups and drop-offs at any bus stop within a defined operating area. The objective is to deliver better and more customised bus services, with the possibility of a shorter wait time, instead of being able to alight only at a bus stop along a pre-determined, fixed route. 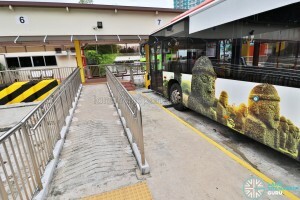 The trial is expected to be conducted on seven bus services plying three areas – Joo Koon (for Services 253, 255 and 257), Punggol North/West (for Services 84 and 382) and Shenton Way/Marina South (for Services 400 and 402). These areas currently experience low demand for bus services during off-peak hours and might better serve commuters if converted into on-demand services. Commuters can also look forward to the pilot deployment of autonomous buses and shuttles in Punggol, Tengah and the Jurong Innovation District (JID). These plans are the latest in Singapore’s drive towards adopting autonomous vehicle (AV) technology, alongside other applications announced earlier, such as driverless campus buses, truck platooning systems and unmanned road sweepers. At these three new towns, it is envisioned that robot buses will run scheduled services during off-peak periods to complement human-driven ones, while driverless shuttles can be summoned on demand by commuters. About 8,000 new jobs in the public transport sector are expected by 2030. The Singapore Rail Academy and Singapore Bus Academy were thus established to build local capabilities for bus captains and railway engineers; new careers would also be created for data scientists, service controllers, and rail and bus engineers and technicians. Singapore Bus Academy training Bus Drivers of four different bus operators: SBS Transit, Go-Ahead, Tower Transit and SMRT Buses. Straits Times photo. The Land Transport Authority (LTA), SkillsFuture Singapore (SSG) and the public transport operators (PTOs), have jointly developed a series of industry-wide manpower development initiatives to attract, develop and retain talent in the public transport industry. The initiatives include the development of more industry-relevant programmes, sponsorship of study awards and training grants, a skills-based progression framework, as well as an industry-wide branding of the sector. Under the Public Transport Manpower Development Fund (PTMDF), Public Transport Study Awards are offered to groom and develop our next generation of public transport professionals; Industry Training Grant is provided to encourage industry incumbents’ attendance to relevant short technical training programmes to ensure that skills are constantly upgraded to meet job requirements; Seed Grant and subsidies are offered to support development of industry-relevant programmes and enhancement of specialised training facilities at Institutes of Higher Learning (IHLs). On top of PTMDF, in line with the SkillsFuture movement to provide individuals with opportunities to develop to their fullest potential, LTA as the sector lead is offering the SkillsFuture Study Awards for the Land Transport Sector to industry incumbents who are committed to deepening their skills in the sector. In addition to funding incentives, LTA has also set up the Singapore Rail Academy and Singapore Bus Academy to professionalise the public transport workforce through capability development. The Singapore Bus Academy (SGBA) was launched in October 2016 as a centralised academy to offer enhanced training to all bus professionals. The Academy conducts Standardising Foundational Training for Bus Captains to complement the existing training efforts of individual operators, and other programmes for existing bus professionals to undergo continual training and deepen their skills throughout their careers. Located at the Devan Nair Institute, SGBA is also a dedicated career resource centre for the public bus industry. As part of Standardising Foundational Training, the Enhanced Vocational Licence Training Programme (EVLTP) for Bus Captains is a five-day course covering foundational topics such as the public transport industry, omnibus driver’s vocational licence and regulations, bus ticketing system (NOBE) and common fleet management systems (CFMS), customer service and safe driving. The course is now a requirement for Bus Captains before they can obtain their Omnibus Driver’s Vocational Licence (ODVL). 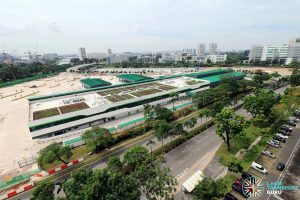 Launched in February 2017, the Singapore Rail Academy (SGRA) at LTA’s Bedok Campus aims to skill, up-skill and re-skill the railway workforce by developing programmes to train workers in critical areas of rail operations and maintenance. It collaborates with its tripartite partners, the Employment and Employability Institute (e2i) and Singapore Institute of Technology (SIT), along with highly-regarded institutions locally and from abroad to build up local rail research capabilities, certify the proficiencies of railway professionals, and promote careers in the rail industry. Taxpayers have been increasingly subsidising the higher operating costs of the public transport network, a situation that is not sustainable going forward, explained Transport Minister Mr Khaw Boon Wan as he signalled that transport fares will go up in future. Although fare revenue now goes directly to the Government, it is far short of covering operating costs, and the Government has to top up the large deficit. 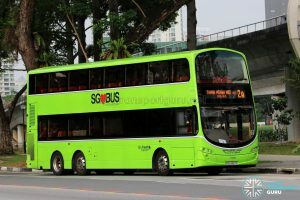 It expects to subsidise public bus services by S$5 billion over the next five years under the new Bus Contracting Model, where it is responsible for buying and replacing buses, and paying operators a fee to operate these services. Another S$4 billion is expected to go into replacing rail assets under the transition to the New Rail Financing Framework, on top of the S$20 billion it is spending on building new public transport infrastructure. The investments in improving the transport system are huge. The Ministry of Transport’s budget is now the second biggest amongst Ministries, after MINDEF (Defence), and ahead of MOH (Health), MND (National Development), and MOE (Education). In the past five years, improvements to public transport services have increased operating costs by about 60%, but fares have gone down by 2% over the same period, a financing model that is unsustainable in the long run. While the Government is committed to subsidising public transport heavily, a fair balance in the relative burden should be borne by commuters, taxpayers and operators. As such, when the Public Transport Council (PTC) is set to review the fare formula, Mr Khaw hoped that commuters would be more understanding towards increases in fares. In the most recent Fare Adjustment which took effect in December 2016, there was an overall 4.2% decrease in bus and train fares owing to lower energy prices.